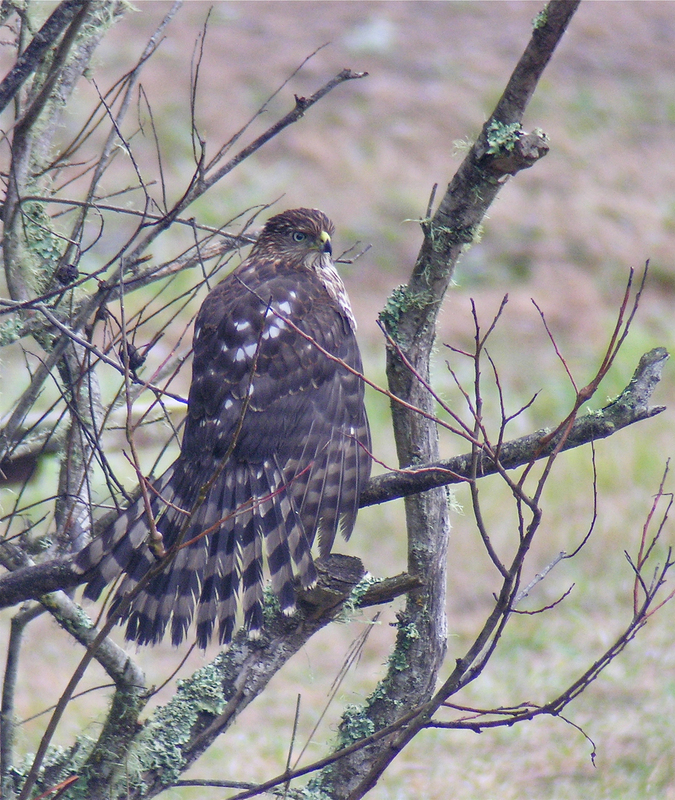 The Cooper's Hawk seen here is fanning its tail, perhaps to dry it off. Taken on a rainy day at Drake's Beach, Pt. Reyes National Seashore.